Poet, novelist, publisher, organiser of cultural events. Recipient of the Magnesia litera (2014) and the Josef Škvorecký Award (2014). 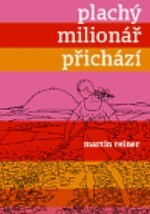 His books have been published in German, French, English, Croatian, Polish and Hungarian. He was born in Brno on 1 August 1964. Between 1975 and 2006 he was called Martin Pluháček after his adoptive father. From obscurity or semi-obscurity, the author raises the story of Ivan Blatný and the mystery of the second, longer part of his life. 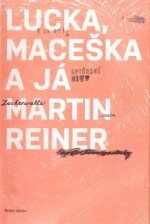 We read with suspense this novel about a Czech poet, the likes of which we have not seen since. He studied at a military college, though he avoided the gruelling military service in socialist Czechoslovakia by spending time in prison, which was one of the few ways of being thrown out of the army. After the Velvet Revolution in 1989 he was the head of Petrov publishers, which he later bought. 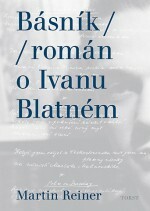 He has published a pleiad of essential contemporary Czech writers including Irena Dousková, Antonín Bajaja, Jiří Kratochvil, Michal Viewegh and Michal Ajvaz. 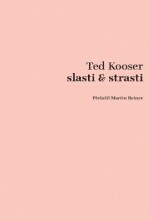 He later “transferred” them to a smaller publisher, Druhé město, which he founded in 2006. He made his debut as an author with the collection Relata refero (Homér, 1991), followed by Poslední rok (The Last Year, Československý spisovatel, 1995). 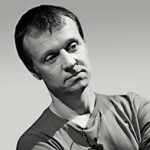 He received critical acclaim for his collection Decimy (Décimas, Torst, 1996), which the author revised and republished two years later (Petrov, 1998) together with Poslední rok. “The second version of Poslední rok is an indication of Reiner’s search for the best form for his very intimately experienced story. Although all of our traumas lose their original power over time, it’s difficult to erase them from our memories completely. Therefore, the second version doesn’t have to be the final one; however, if we go on the assumption that authors such as Reiner never leave their central theme, we can take the third version – naturally with slight exaggeration – as Reiner’s later work. In Decimy, for example, the female readers are not so much like Anna from Poslední rok and the writer is not so much like its romantic narrator,” wrote academic Michal Přibáň about the collection. There then followed the collection Tání chůze (Thawing Walking, 1998) and the lyrical novella about a state of mind, Lázně (Spa, 1998). 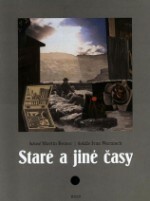 Staré a jiné časy (Old Times and Other Times, Host, 2002) was complemented by collages by the poet Ivan Wernisch. “The author alternates between farcical miniatures which are written in free verse (when it’s not prose), and smaller poetic impressions held in a tight form,” wrote critic Radim Kopáč about the book. At the same time Reiner’s poetry collection No Through Road (Art Bureau, 2007) was being published in the USA, which the author wrote while staying in America. 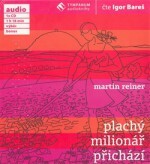 The Czech version is the almost identical Pohled z kavárny v Bath (View from a Cafe in Bath, Větrné mlýny 2007), once again with Wernisch’s collages. 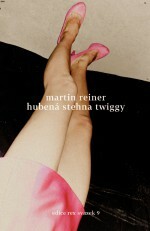 This was followed by Hubená stehna Twiggy (Twiggy the Thin Thigh, Host, 2010) – a collection of Reiner’s poetry that has been published since Staré a jiné časy. The book won the admiration of both critics and readers. 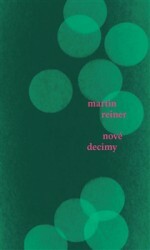 Martin Reiner’s most recent collection of poetry is called Nové decimy (New Décimas), where after years spent on the Blatný novel he has returned to poetry.